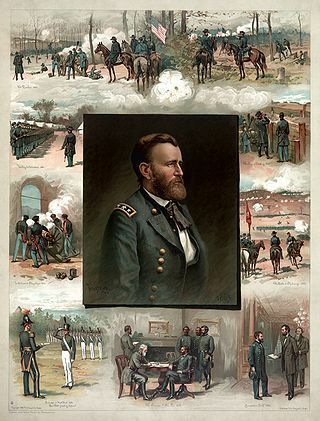 Grant remained in the army and was moved to several different posts. He was sent to Fort Vancouver in the Washington Territory in 1853, where he served as quartermaster of the 4th Infantry Regiment. His wife, eight months pregnant with their second child, could not accompany him because his salary could not support a family on the frontier. In 1854, Grant was promoted to captain, one of only 50 still on active duty, and assigned to command Company F, 4th Infantry, at Fort Humboldt, California. 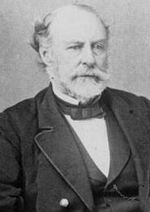 Grant abruptly resigned from the Army with little advance notice on July 31, 1854, offering no explanation for his decision. Rumors persisted in the Army for years that his commanding officer, Bvt. Lt. Col. Robert C. Buchanan, found him drunk on duty as a pay officer and offered him the choice between resignation or court-martial. However, the War Department stated, "Nothing stands against his good name." Robert Christie Buchanan (March 1, 1811 – November 29, 1878) was an American military officer who served in the Mexican War and then was a general in the Union Army during the American Civil War. In a career than spanned more than forty years, Buchanan held numerous commands (including several forts) and received multiple citations for bravery and distinguished service.